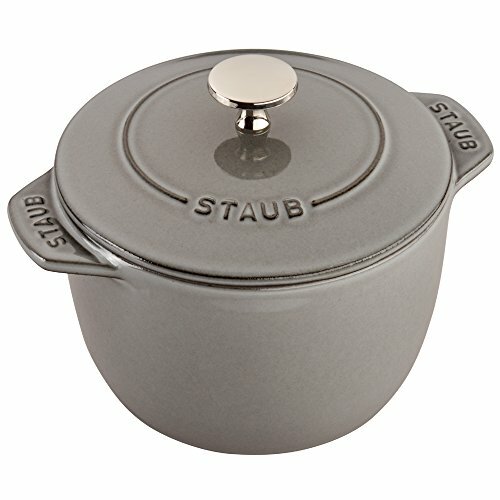 Staub's 1.5 quart Cast Iron Petite French Oven boasts the benefits of a full-size cocotte in a compact size. Get fluffy rice, tender grains and creamy oatmeal thanks to Staub's signature new lid. Staub's latest innovation, the Chistera drop-structure lid, has solved the challenge of curved lids—they limit moisture to sides—by ensuring continuous condensation throughout. Unlike countertop rice cookers, Staub's Petite French Oven can be transported from the stovetop to the table. No need for serving bowls; these charming cocottes take care of both cooking and plating. Rice has never been so easy to make.